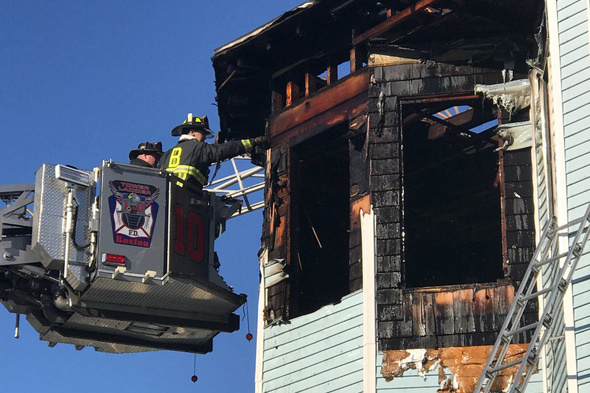 The Boston Fire Department reports firefighters responded to a fire at 688 Columbia Road, in Edward Everett Square, at 7:44 a.m. Read more. State Rep. Liz Miranda (Dorchester) and city officials say they've brokered a deal between Uphams House of Pizza on Columbia Road and a teenager who got into a beef with an employee there that could calm a tense situation that had spread into the community via videos on social media and sparked calls for a boycott of the 30-year-old pizza place. Read more. Boston Police report a traffic stop at Columbia Road and Washington Street in Dorchester yesterday ended with the arrest of two men - one of whom served a lengthy prison sentence for shooting two state troopers on Blue Hill Avenue. Read more. Boston Police report officers asked to check on the well being of a man at 614 Columbia Rd. found the man dead, around 4:30 p.m. on Wednesday. Police are treating the death as suspicious. Anybody with information can contact homicide detectives at 617-343-4470 or the anonymous tip line by calling 800-494-TIPS or by texting TIP to CRIME (27463). The scene this morning. Photo by Chris Dunn. 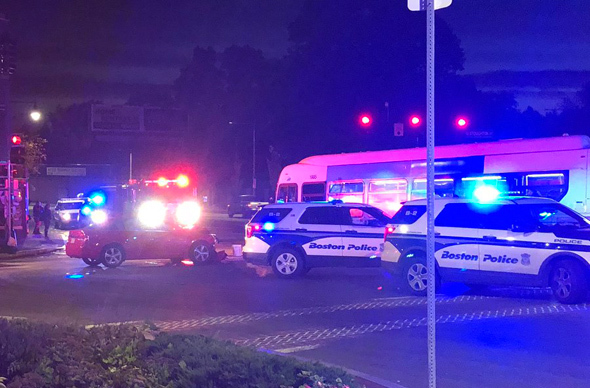 NBC Boston reports a driver seems to have plowed through a red light and right into an MBTA bus shortly after 6 a.m. at Columbia Road and Dudley Street. The Globe reports seven injured. Boston Police report officers responding to a call about gunfire at Coumbia Road and Seaver Street around 3:40 a.m. spotted a guy walking quickly away while clutching at his waistband: Read more. The Boston Fire Department reports a big part of the roof at 208 Columbia Rd., a one-story building at the corner with Stanwood, collapsed shortly after 10 a.m., sending most of itself into the building and coating the sidewalk with bricks. The department reports no injuries, says two neighboring buildings were evacuated as a precaution. A gang-unit cop who'd just gotten off his shift slammed into a car on Columbia Road at 65 m.p.h. - in a 25-m.p.h. zone - with a blood-alcohol level well above the legal limit early on New Year's Day, prosecutors charged at his arraignment today. Read more. Boston Police report a Maine man driving on the wrong side of Columbia Road in Uphams Corner early this morning tried to escape police by getting back onto the right side and speed away, only to get stuck on a median, where his rear wheels spun uselessly as the officers approached. Read more. Boston Police report arresting a New York City man on gun and pot charges Thursday afternoon after he allegedly ran a stop sign on a shortcut from Blue Hill Avenue to Columbia Road. Read more. The Supreme Judicial Court ruled today it was not going to hear Raymond White's appeal of his conviction on two first-degree murder convictions for the 1971 deaths of two security guards at a Columbia Road supermarket - at least not yet. Read more. The city gives you an unused old bank branch - quick, what do you do with it for a year and a half? The city is soliciting bids from people who think they could really do something with the old Bank of America branch at 555 Columbia Rd. in Uphams Corner for the 12 to 18 months it would otherwise sit empty until the city puts up a new library branch there. As a jury heard testimony against one Boston police officer charged with beating an Uber driver, a Suffolk County grand jury was releasing an indictment charging another cop with assault and battery with a dangerous weapon for a New Year's Day crash in which he was allegedly drunk. Read more. Boston Police report arresting a 29-year-old Winthrop woman after they say officers watched her buy some heroin at a Dorchester Kentucky Fried Chicken - and her 70-year-old companion, whom they say was packing a loaded gun and driving an SUV equipped with an "AR-15 style" rifle, ten clips for it and body armor. Read more. 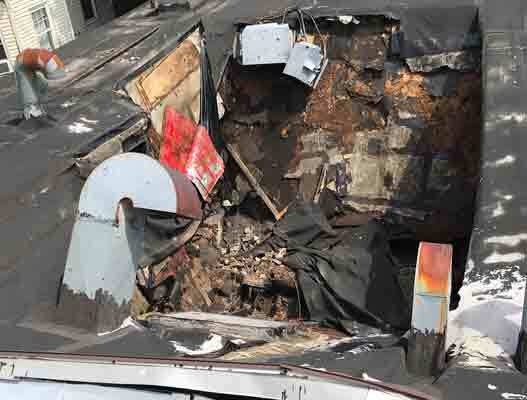 Boston Police report officers who captured a man they suspected of packing a gun had to call in a BFD ladder truck early Saturday to retrieve the firearm from the roof of the Strand Theatre on Columbia Road. Read more. Boston Police report arresting a participant in some fisticuffs on Columbia Road early Wednesday who, they say, duked it out while packing two loaded handguns. Police say officers on patrol spotted a bunch of guys fighting on Columbia Road near Devon Street shortly after midnight. Read more. Boston Police report a man officers tried to stop for a broken brake light on Columbia Road at Geneva Avenue shortly after 2 a.m. instead sped away - and then crashed into several cars at Columbia and Glendale Street, where he got out of his still moving car and ran away, only to be pursued and captured. Read more.